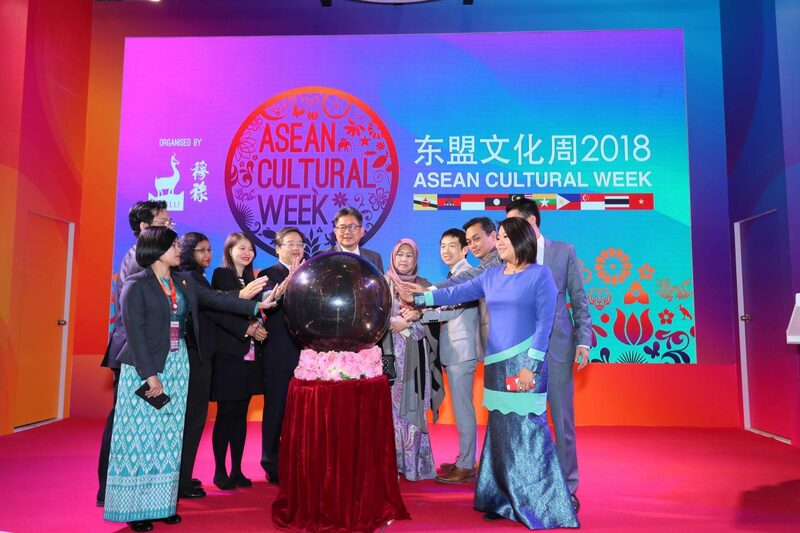 KUCHING: The ASEAN Cultural Week 2018’s success demonstrates that strategic cooperation of ASEAN nations and China is achievable and that the region’s economic integration may soon turn into reality. At the launch of the ASEAN Cultural Week 2018, Jasmine Kho of MULU Global Media (Beijing) Inc, organiser of the ASEAN Cultural Week and executive producer of the ASEAN Cultural Week theme song ‘We Are The Ones’ said the cultural festival is meant to promote and enhance strategic cooperation among our people in the ASEAN region and China. Kho detailed that the embassies of the ten ASEAN member states working together in the ASEAN Cultural Week 2018 has resulted with the event being the highlight of the colourful 13th China Beijing International Cultural & Creative Industry Expo (ICCIE) which is held on Oct 25 to 28 and organised by the China Ministry of Culture and Beijing City Government. “This success gives us a glimpse of the greater potential we can achieve if our peoples work together towards a common goal,” she said. The theme of the present ICCIE is ‘Leading the High quality Development of cultural industries to boost the construction of the national cultural centre’. According to Kho, this year’s 13th ICCIE which is held in Beijing from Oct 25 to 28 will showcase more than 100 events covering six series of comprehensive activities, exhibitions, trade promotions, forums and conferences, creative activities, and sub-venue activities. Most of these events will exhibit cultures, industries and economies of ASEAN countries that are involved in the ASEAN Cultural Week or are involved in the ‘Belt and Road’ initiative that seeks to connect China with other regions in ASEAN to promote increase trade and an integrated economy. Especially after the ASEAN Economic Community was launched in 2015, questions have surfaced on whether the ASEAN community would be able to achieve a goal of economic integration. Kho stresses that connectivity among our people in the region will play a key role in making ASEAN an integrated market and production base towards becoming a highly competitive economic region with equitable economic development. The 13th China (Beijing) International Cultural & Creative Industry Expo (ICCIE), which is jointly hosted by the Ministry of Culture and Tourism, National Radio and Television Administration, National Press and Publication Administration and the Beijing Municipal People’s Government, and organised by CCPIT Beijing Sub-Council, is to be held from October 25th to 28th in Beijing. Founded in 2006, the ICCIE is a large-scale international cultural and creative industry event held in Beijing annually. It has been held for twelve consecutive sessions, and has become an important platform for demonstrating the civilised image of the nation, enhancing cultural self-confidence at home, and leading and demonstrating the national cultural construction. According to incomplete statistics, the previous twelve sessions attracted 651 government and enterprise delegations from more than 100 countries and regions, including those from the United Nations, the European Union, the World Intellectual Property Organisation, the International Olympic Committee, the World Animation Association and other international organisations with 17,862 overseas professionals attending. 31 provinces, autonomous regions and municipalities and Hong Kong, Macao and Taiwan regions were represented. They held 1,439 events altogether with a total exhibition area of 2.3 million square meters and 12.93 million people from all walks of life participating. The ICCIE, with its huge scale, rich content, extensive international participation and fruitful innovative achievements, has produced a strong response from the cultural and creative circles at home and abroad. The present ICCIE will thoroughly implement the spirit of China’s General Secretary Xi Jinping’s keynote speech at the National Conference on Publicity and Ideological Work and the important speeches delivered during his two inspection tours in Beijing. Focusing on the coordinated development of Beijing, Tianjin and Hebei and the ‘Belt and Road’ initiative, it will give full play to the functions of the national cultural centre in agglomeration, radiant drive, innovation guide, exhibition, exchange and service guarantee. By setting up a ‘six in one’ platform for comprehensive activities, exhibitions, trade promotions, forums and conferences, creative activities, and sub-venues, it will display the major achievements in the past year since the formation of the Leading Group of National Cultural Centre Construction to promote the integration of cultural and creative industries with science and technology, finance, tourism and sports, give impetus to international cultural exchanges and cooperation, and strive to enhance the influence of Beijing culture and Chinese civilisation.